Yes. Believe it or not, sports drinks are one of the worst beverages for your teeth. Sports drinks contain electrolytes, which are helpful to sustain energy levels when you engage in intensive activities. They are also a tasty alternative to water, making it a staple for young people as well. On the other hand, many people don’t realised that sports drinks are not healthy for their teeth. The majority of sports drink brands deliver far more acid and sugar than your teeth and body require. In fact, sports drinks are proven to cause three times more damage to teeth than soft drinks. A study by British Journal of Sports Medicine has found that athletes are highly susceptible to the following dental problems: tooth decay, periodontal disease, enamel erosion, and infected wisdom teeth. Tooth decay – occurs when the bacteria in the mouth produce acids that erode the tooth enamel. Because of this, cavities are formed in your teeth due to the acid that breaks down the layers of the tooth. Gum disease – also referred to as periodontal disease, is a chronic infection and inflammation of the gums caused by plaque build-up that turns into tartar (calculus). The bacterial build-up releases toxins that irritate and infect the gum tissues. Enamel erosion – enamel is a hard, semi-clear layer on the crown of the tooth that protects the tooth from daily wear and tear. Erosion occurs when the acids wear away the enamel, exposing the sensitive dentine underneath. Infected wisdom teeth – food debris can be easily caught in partially erupted wisdom teeth. As a result, they are a hotbed for bacteria and infections. Though drinking sweetened and acidic beverages does not necessarily cause this condition, dental professionals recommend avoiding high consumption of sugars in order to prevent exacerbating any infection. Sport drinks may contain little to no sugar. However, their dental-related danger doesn’t come from sugar content, but from their acidity. According to the recent study published by the General Dentistry Journal, sports drinks contain a significant amount of acid so that they start damaging the teeth in as little as five days. The tooth’s dentine and enamel are easily weakened by acids of a pH lower than 5.5. Given that many sports drinks contain malic or citric acid with a pH between 2.4 to 4.5, this makes the beverage a threat to your precious teeth. Researchers believe that sports and energy drinks are the primary cause for tooth erosion for various reasons. Athletes commonly consumed sports drinks as part of their routine to remain hydrated during exercise. On the other hand, this also increases the time that their teeth are exposed to the high sugar content and acidity of sports drinks, which makes the teeth vulnerable to tooth decay. People who maintain a steady diet of sports drinks, such as athletes and sports enthusiasts, should take a few important steps to protect their teeth and oral health in any way that they can. If you consume sodas, sports drinks, or energy drinks on a daily basis, make sure to rinse your mouth out with water right after drinking. In this way, your teeth are exposed to the excess acidic liquid for a minimal amount of time. You can also chew a piece of sugar-free gum, such as those that contain xylitol, if water is not an option. It is also recommended to wait at least an hour to brush your teeth after drinking acidic beverages. If you brush sooner, the toothbrush itself spreads the acid around your teeth, causing even more damage. Keeping a healthy body is crucial regardless if you’re an athlete or not, and part of this is maintaining good oral health. If possible, avoid sports drinks and other sugary foods altogether. For a healthy hydration regimen to aid your exercise and active lifestyle, talk to your dentist for some recommendations, and also regarding preventative care for your oral health. Sports drinks are loved by many, but did you know that your teeth hate them? Though they can replenish your body and thrill your tastebuds, sports drinks are not a very healthy option for your general wellbeing. Engaging in an active lifestyle doesn’t mean you need to risk your oral health. Visit your Mernda dentist at United Smiles to know more about taking better care of your teeth while you enjoy sports. We offer comprehensive preventative care and oral hygiene education to boost the quality of your life. 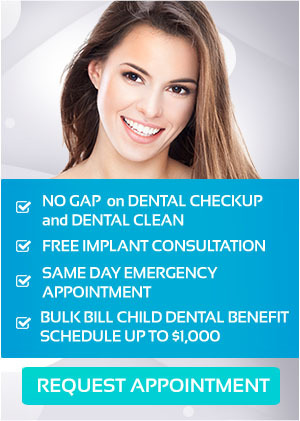 For HCF and CBHS, claim your PAY NO GAP OFFER on dental check-up and clean. Bulk Bill Child Benefit Schedule Up to $1,000. To know more about our dental offers, book your appointment online or call us on (03) 8682 8658.